...a pack of older BMWs. 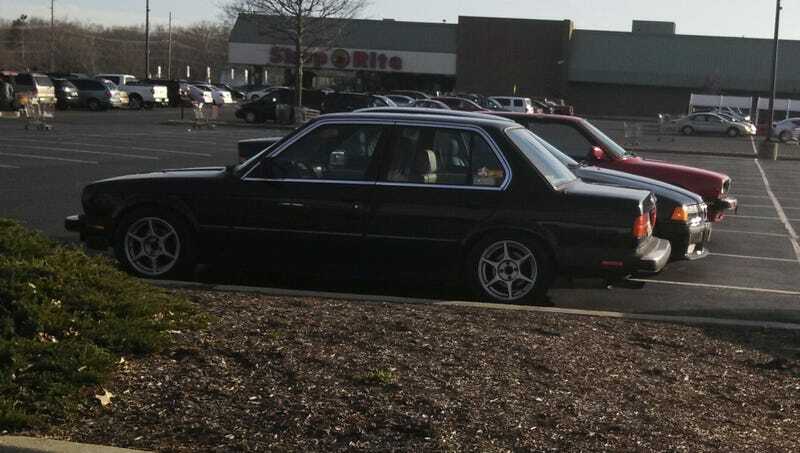 That E28 (edit E30) means serious business. I wonder if they know about the Mustang crew.